Tiffany received her Washington state license in Esthetics in 2007. 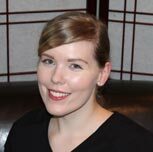 She is familiar with many different skin care lines and has taken extensive training with Physiodermie and Bioelements skin care. 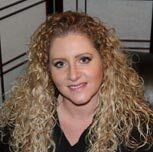 To gain more experience and knowledge as a skin care specialist, Tiffany attended the Las Vegas spa and esthetics convention in 2008 and the New York spa and esthetics convention in 2010. Tiffany also received a mastery certificate in Reflexology from Seattle Reflexology and Massage Center in 2009. Reflexology specialties include: Foot pain relief, pregnancy, fertility, and foot spa techniques. She will continue to learn more about Esthetics and Reflexology through continuing education and attending spa conventions. Tiffany has been working at Sole Therapy since 2007. Briana is a graduate of the Yakima Valley Body Therapy Institute. She is excited to put her knowledge and massage techniques learned to use, as well as provide a relaxing environment for the clients. 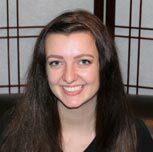 Having experience with Swedish massage, pregnancy massage, and hot stone massage, Briana is always eager to learn more. Briana has been working at Sole Therapy since 2011. Annie received her Washington state license in Esthetics in 2009. She has experience with different skin care lines, and has additional training in Foot Facials. She enjoys traveling, reading and spending time with her family and animals. Annie has been working at Sole Therapy since 2011. Jocelyn graduated from Day Spa Academy in 2016. She is experienced in Therapeutic and Relaxation Massage. Jocelyn is also very interested in expanding her knowledge base and feels that it is important to provide a stress-free environment to each client. Lisa is a graduate of Yakima Valley Body Therapy Institute. 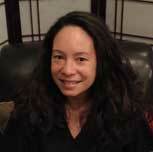 She has experience in Swedish, Therapeutic, Pregnancy, and Medical Massage. She strives to make each session meaningful for your life that day, to find balance and relaxation. Contracted with most insurance companies for Medical Massage. 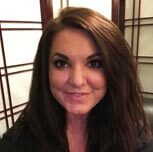 Sole Therapy would like to officially welcome our newest team member, Licensed Massage Practitioner, Kendra McDowell! Kendra has only been with us a short while but has already been a great asset. Kendra offers evenings and weekends as well as hours during the day. If you are interested in employment at Sole Therapy Medical Day Spa, please submit your Resume to us. 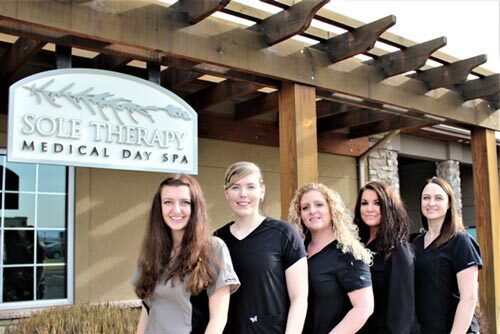 © Copyright 2008-2019 Sole Therapy Medical Day Spa, Yakima, Washington. All rights reserved.